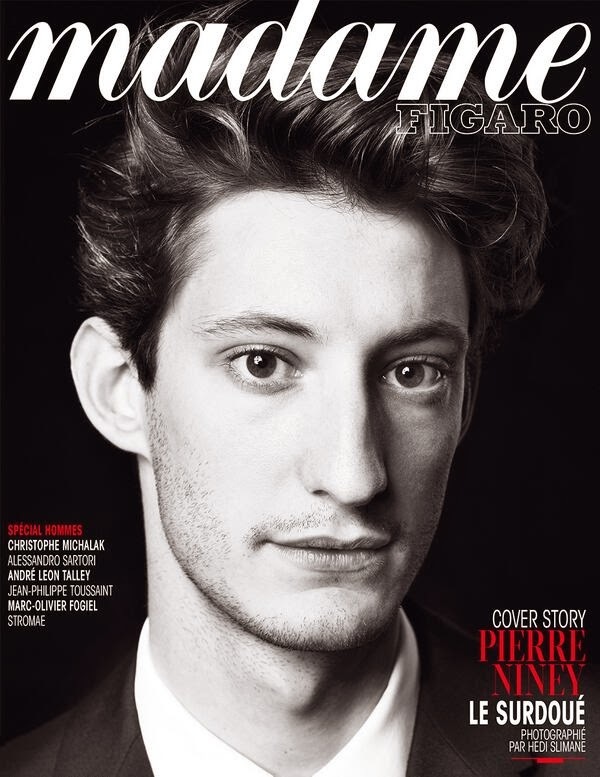 Hedi Slimane, artistic director of Saint Laurent captured Pierre Niney for the cover of of Madame Figaro Special Hommes. Pierre Niney turns into Yves Saint Laurent for Jalil Lespert biopic, in will be in the theaters on March the 12th, 2014. The film covers the years 1958-1976 . Lespert starts with Yves at Dior, he is 21 years old and he will end with the designer's Russian collection, which was a tribute to the Ballets Russes. Experts take this show for the best that has ever existed, Yves Saint Laurent was then 40 years.